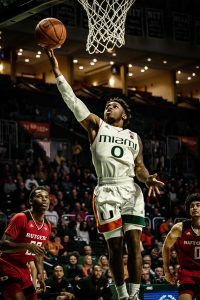 The Hurricanes (8-5, 1-1) squad had a bittersweet ACC kickoff weekend. After going 7-4 in no-conference play, the team swept Notre Dame (3-10) Friday at home, but then received the opposite result at Duke (9-3) Sunday. Friday was a continuation of a recurring theme for the team: stellar home performances. 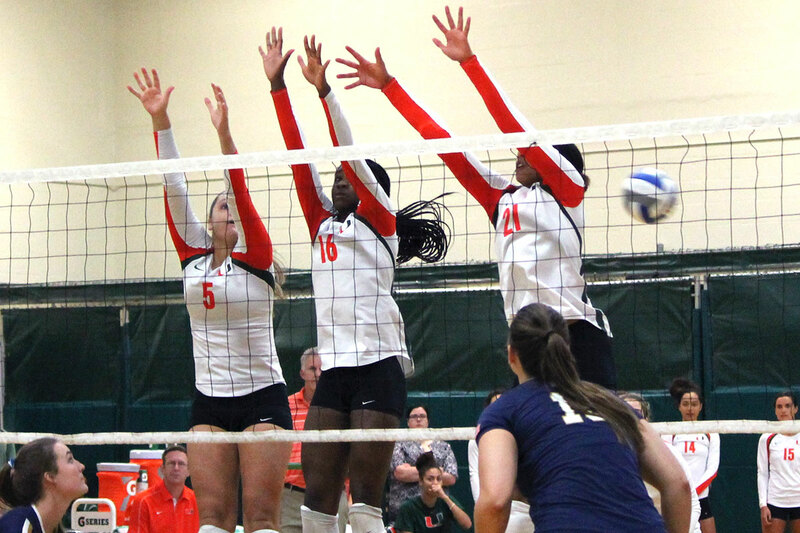 The Hurricanes won their sixth home match of the season Friday at the Knight Sports Complex, taking the Fighting Irish 25-14, 25-17 and 25-13. Savanah Leaf once again led the charge offensively, accumulating a team-high 16 kills with a .517 kill percentage. Setters Haley Templeton and Caitlin Donahoe combined for 33 assists on the night. Freshman Templeton still remains the top setter in the ACC with 10.66 assists per set as of Friday. Fellow freshman Sakile Simmons and junior Taylor Scott combined for 13 kills, contributing to the Canes’ plus -.300 kill percentage in two of the three sets. However, Duke was able to pick up where it left off last year, when it swept Miami twice. The orange and green struggled defensively, letting the Blue Devils finish with a .500 kill percentage in the first set. The Canes failed to earn any blocks. The team also battled offensive woes, accumulating sub-.200 in their final two sets. Leaf again led the team with 10 kills, elevating her tally to 189 on the season. 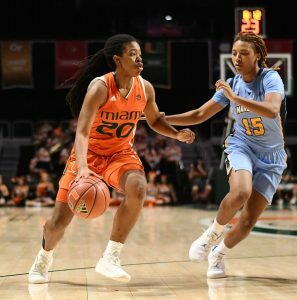 Georgia-native Templeton added 21 assists, thus bringing her total to 421 in her first year. 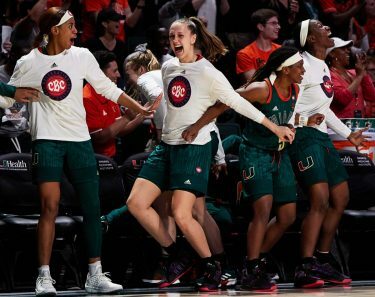 Fortunately for the Canes, they travel back home to their Coral Gables fortress Friday, where they will take on Clemson at 7 p.m.